About - Desert Springs Outdoor Environments, Inc.
We specialize in the custom design & installation of residential pools & landscaping in the Phoenix metropolitan area. Our focus is on progressive & creative design work that is not only sound in form – but function as well. We house an experienced & creative design team that is constantly striving for newer & better solutions to your outdoor spaces. Once the design phase is complete, we have a professional staff that makes our designs come to life. Our installation process is very interactive with the client to ensure that service, satisfaction & trust are maintained throughout the process. We are very proud of our high standard of creativity & quality. We hope our portfolio inspires ideas as you think about your new or existing pool & landscape projects. 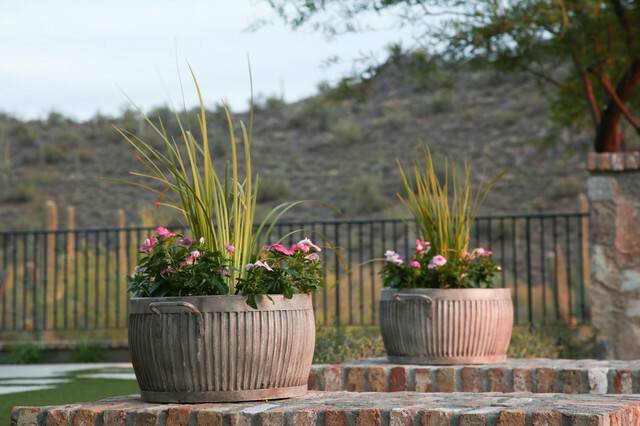 Desert Springs offers three essential services to assist our clients in creating their dream outdoor spaces.